So you're going to a music festival, huh? Well, I'm heading to HARD Summer. Where are you headed? But what to wear? What's the weather forecast? Is it outside? How long is it? Will I be standing? Do I care about being trendy or comfortable? Or both? 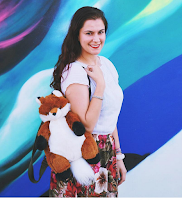 My summer music festival style can be described in three words: comfy, covered, cute. Comfy - I need to be comfy. I want clothes that are light, can move, and will last through a hot, sweaty, crowded mess. Nothing black or dark. I don't need any extra attention from the sun. Nothing that's sticky, tight, itchy or sweat-inducing. Covered - I need coverage from the sun (two days of 12 hours of outside music!!!). I do not want to get fried. No sunburns for me please! Only tans. Sunnies, sunscreen and cap...check, check, check! Cute - And I need to look fabulous. Duh! I (try to) never leave home without some form of jewelry. Nothing too big and clunky though. I don't want some enormous statement necklace weighing me down all day. Keep it light. 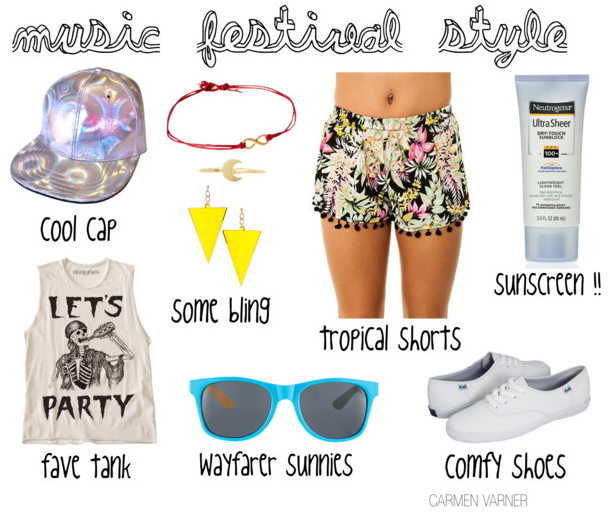 What's your music fest style?